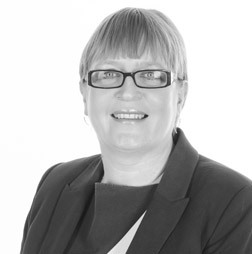 Sue joined CDC in 2017 from Lloyds Private Banking where she spent over 30 years undertaking a variety of customer facing and advice roles across the Midlands and North of England before moving into compliance, regulation and development where she was responsible for the recruitment, training and ongoing supervision of a team of Independent Financial Advisers. Sue has a variety of qualifications across the financial spectrum and achieved Chartered Financial Planner status in 2015. Having worked for such a large company for so long, she is pleased to have the opportunity to have a more hands on involvement in the implementation of the latest regulation and to work closely with our team to support their development. Outside of work Sue is married with 3 stepchildren and 2 step grandchildren. She has a busy social life and enjoys travelling, good food and drink and spending time with her family and friends. She loves spending time in her garden and is a member of RHS having done some voluntary work with them in her time off after leaving Lloyds. As a means of relaxation she like to spend time in Spas, often with a book in hand.